Amnesty International are now claiming that the Grand Mufti of Syria, Sheikh Badreddine Hassoun of all people (met him in person, lovely human being), signed off on up to 13,540 secret executions in Sednaya prison in Damascus (p. 17). Of those 84 people they claim to have interviewed, 81 are anonymous, and only 3 come with names (p. 34). Assuming these prisoners are being executed in complete secrecy as per the report’s claims, to the point where alleged doctors, judges and prison guards can’t provide any evidence that these prisoners even exist aside from their own testimony, how would the family members of these prisoners know they’re being held at Sednaya? The report also alleges (p. 28) that there are secret mass graves in Damascus, only to finish up by saying, “not having access to Syria, Amnesty International has been unable to independently verify these statements”. Really, Amnesty? You couldn’t get your alleged sources, especially the prison guards, to take one photo? The second time they use the key-word ‘verify’ or ‘verified’ in their report is in a very short section titled ‘Documented Deaths’ (p. 40) which doesn’t even refer to work they’ve done, but to allegedly verified deaths in Sednaya prison according to the Syrian Network for Human Rights which claims that 375 prisoners died of torture from March 2011 to October 2016. But hang on, if SNHR knows enough about what happens inside Sednaya to the point where they know for certain that 375 prisoners died of “torture and other ill-treatment”, and assuming therefore that they’re capable of monitoring the transfer of prisoners to Sednaya in the first place, how on earth did they manage to miss up to 13,165 executed prisoners? 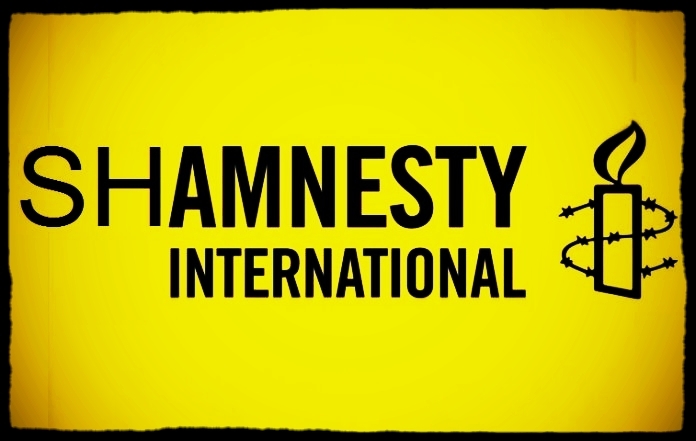 Amnesty International claims to have “obtained the names of 36 additional individuals who died as a result of torture and other ill-treatment in Saydnaya” which were “provided to Amnesty International by former detainees who witnessed the deaths in their cells”. So in other words, the people that AI either met or called told them 36 names with no evidence backing up their claims, and yet we’re supposed to believe them when they claim over 13K secret executions? Finally, why would ‘international and national experts’ need to remain anonymous? If they really were experts they’d have literature to their name so we can check their credentials. Nope, anonymous. If you believe this you’ll believe anything.